Every day millions of people must write business reports, letters, proposals, and emails. Yet many have never studied the peculiarities of business writing, a considerably different skill from writing in an academic or social setting. The result is often lengthy, unclear, inaccurate—in a word, ineffective—business writing. Consider your audience for the proper approach. Edit for content and layout, grammar, clarity, conciseness, and style. 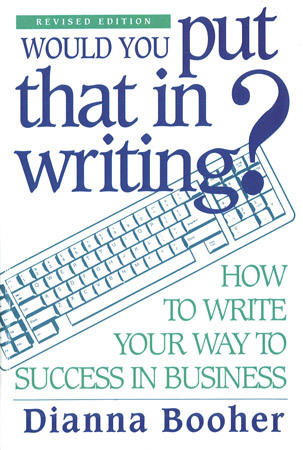 To sharpen your business writing skills further, the book contains several helpful quizzes, exercises, and even a grammar glossary. In this revised and updated edition, you’ll learn how to structure your information in THE MADE Format®, how to organize your thinking with “idea wheels,” and how to position your ideas for emphasis and recall.